Zonta Club of Kowloon has recently launched the 1 AM (First Action Moment) Mobile Apps application during a press conference scheduled on Zonta Rose Day, 8 March 2016. The 1 AM is a mobile application that can be freely downloaded from Apps store by clicking https://appsto.re/hk/qqXy7.i on iPhone or Android. It is the first Chinese speaking Apps launched worldwide for the prevention of domestic violence amongst women and girls. Together with other Zonta Clubs in Hong Kong, Zonta Club of Kowloon has developed a poster to inform victims of violence how to seek help. 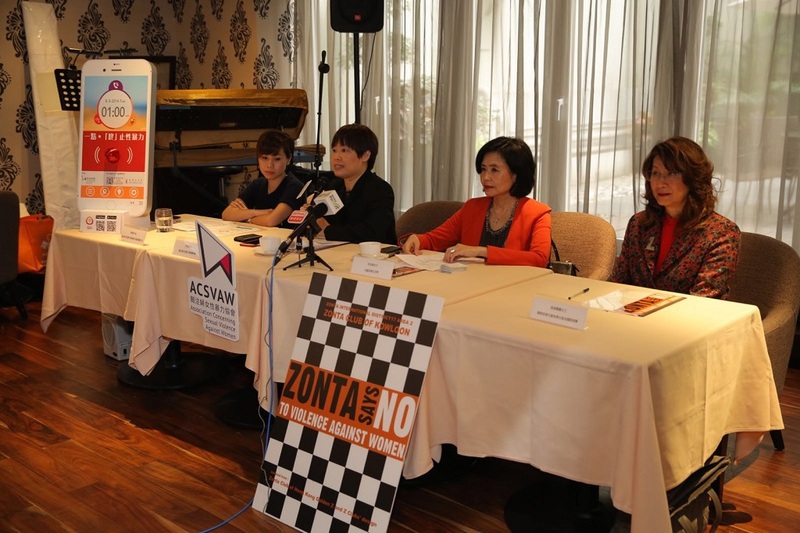 To support the Zonta International’s “Zonta Says No” Campaign to end violence against women, Zonta Club of Kowloon will join hands with the Association Concerning Sexual Violence Against Women (ACSVAW) to co-organize the Z-moves Multi-Media Art Educational Program in 2014. “Z-moves” means “Zonta Moves the World” and we aim to spread the “Zonta Says No” message through arts in order to end gender-based violence. 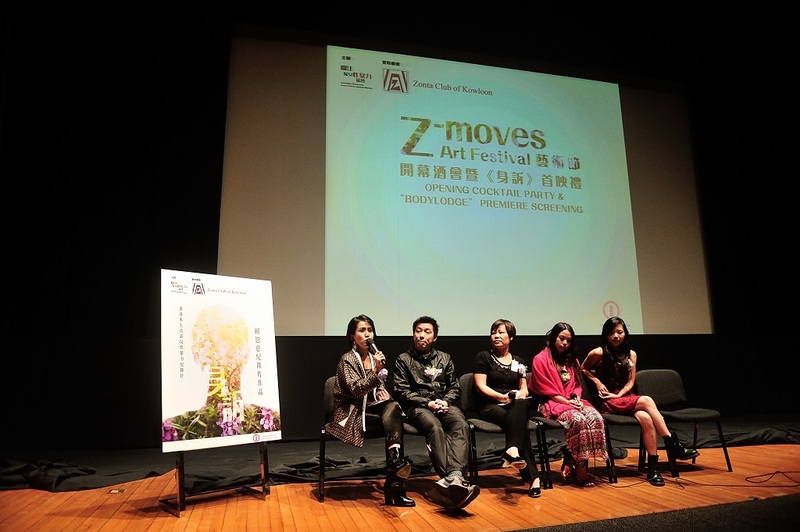 “Z-moves” is the first program of its kind in Hong Kong : a multi-media art educational program aimed at raising awareness of gender-based violence in Hong Kong. The number of target visitors to “Z-moves” is over 2,500. We will invite artists interested in the topic of gender violence to create artworks to arouse public involvement in the “Zonta says No” Campaign. The artworks will be displayed in the “Z-moves” Arts Festival. We hope that this will provide a new perspective of global sexual violence problem. Hong Kong young director Lai Yan Chi (2013 Hong Kong Spirit Ambassador, 2012 Ten Outstanding Young Persons Award) has been invited to produce a documentary focusing on gender violence problems in Asia, and this documentary will be premiered at the “Z-moves” Arts Festival to draw attention to the issue. 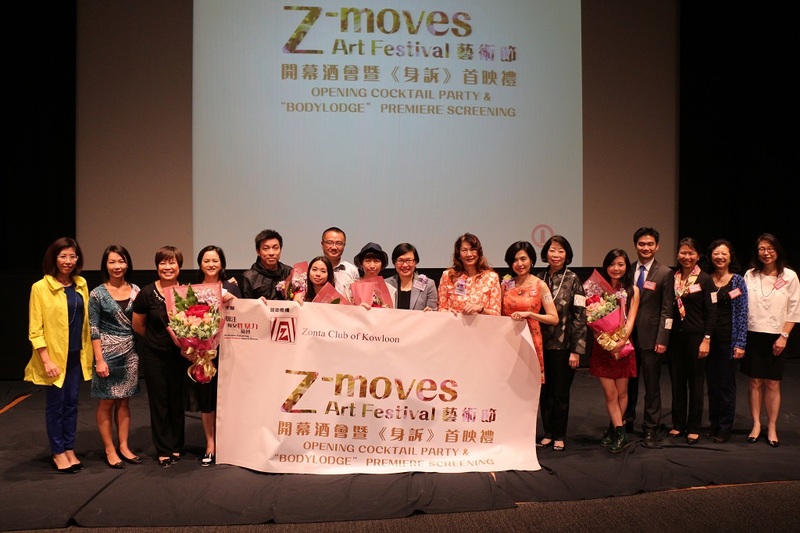 The “Z-moves” Program will collaborate with Zonta’s Golden-Z and Z Clubs to provide free art education activities for local secondary and university students. Through a series of workshops, arts will be used as impactful media to engage the public in open discussion on gender-based violence, with an aim of enabling young girls to learn about the human body through art forms, as well as issues relating to gender equality and gender-based violence. In so doing, our aim is for them to be equipped to defend themselves against violence. We, Zonta Club of Kowloon is very much a part of Hong Kong and we take an interest in issues that affect our local community. We are committed to being an impactful contributor on issues pertaining to the livelihood of our local community. We agree to the pressing need of enhancing our current retirement protection system. When the Review of Enhancement of Retirement Protection as proposed by the Commission on Poverty was in full swing, we have seized the opportunity by actively voicing our views, concerns and suggestions in our Response Paper. 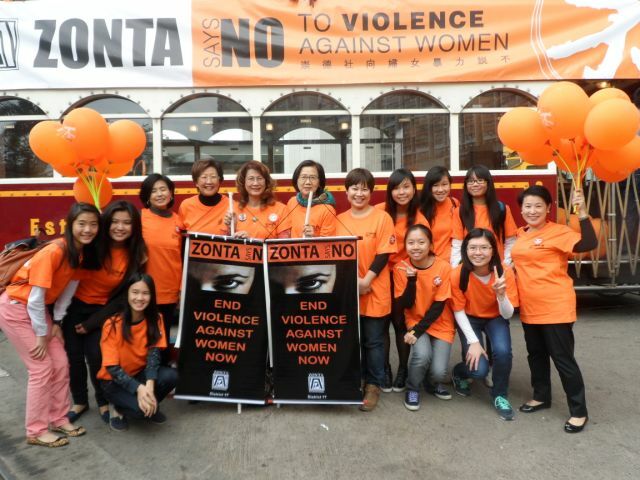 Z Say No Project of Zonta Club of New Territories on 6 December 2014.with Tung Wah CEASE Crisis Centre attended by International Director, Winnie Teoh and Zontians from Zonta Club of Kowloon, including President Julianne Doe, Advocacy committee members Cecilia Yao and Helen Kwan. The project is a preventive educational project on anti- sexual assault for girls with intellectual disabilities- 'SAY NO- STEP OUT'. 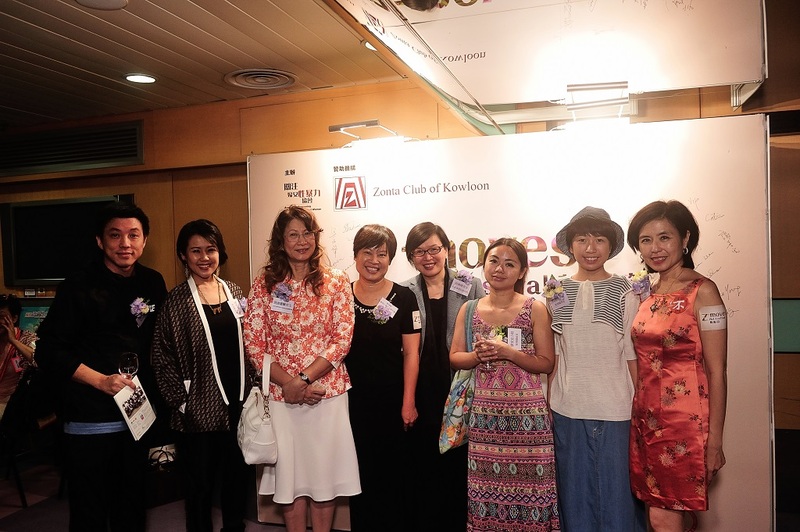 Guests and celebrities joined hands with Association Concerning Sexual Violence Against Women to support Zonta Club of Kowloon in its commitment in Zonta Says NO campaign to eliminate violence against women at the Opening Cocktail party for Z-moves & Premiere Screening of Bodylodge《身訴》 at Science Museum on 22 October 2014. Bodylodge《身訴》directed by Mo Lai Yan Chi (賴恩慈) records the experience of violence of the survivors in RainLily. The films not only depicts the contradictions and struggles, but also aims at bringing discussions about violence against women, breaking the silence and voicing out concerns. Rainlily Seminar on Protection of Sexual Violence Victims in Judicial System was successfully held on 23 November 2013. 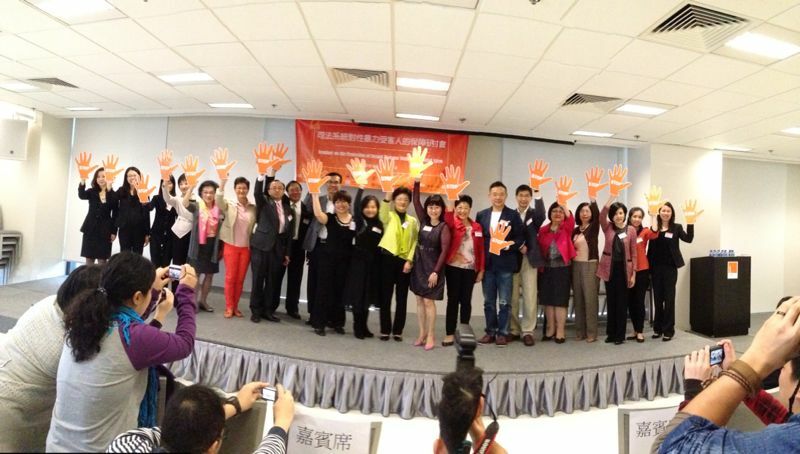 It was co-organized by Rainlily and Hong Kong Federation of Women Lawyers in response to the International Day for the Elimination of Violence against Women. Representatives from Social Welfare Department, Department of Justice, the police, and legal sector were invited to be guest speakers. Our Club was proud to be a Supporting Organization to champion the cause against sexual violence against women. 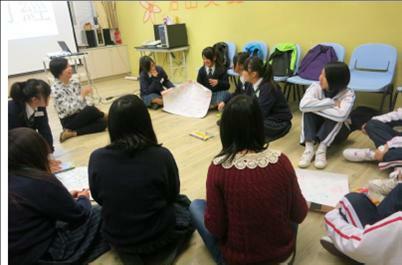 Rainlily was set up in November 2000 by the Association Concerning Sexual Violence Against Women as Hong Kong's first one-stop crisis center for female victims of sexual violence. 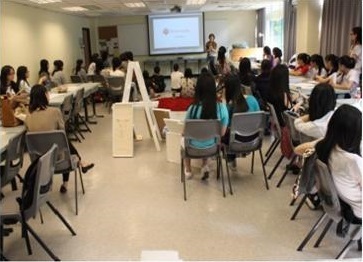 Zonta Club of Kowloon has joined all other Zonta Clubs in Hong Kong as an supporting organization to the FoodEver WasteNever Project organized by Hong Kong Women Professionals & Entrepreneurs Association in collaboration with HK Productivity Centre. 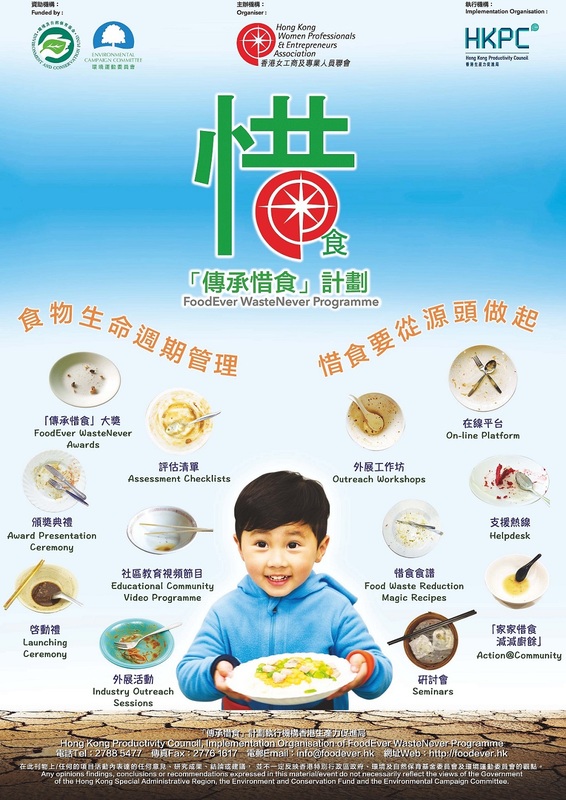 Please see the attached flyers and visit the following link and support & driving a FoodEver and WastNever culture.